You need to know how to get traffic to your website. No one can see how great your brand is if they can’t find you. But paying for every single visit through Google Ads or social media advertising costs a fortune. It’s not a long-term strategy. It’s not an investment in your company’s future because it doesn’t generate the kind of traffic that keeps coming back and keeps buying more. Stop wasting money! There are more cost-effective answers to how to get traffic to your website. Get more repeat visits. Increase referral activity. Get Google to send people right to your website. Increase revenues generated by these visits. Here are 9 effective ways that will teach you how to get traffic to your website. Wait! Before you do anything. You want to figure out how to get traffic to your website without spending way too much, right? It starts with a budget. This isn’t just a broad marketing budget. This is a well-thought-out and itemized budget. It includes an allotment for the various types of expenses that go into driving traffic. Without a budget, it’s hard to know if what you’re doing is working. It’s tempting to just keep spending on something and getting the same bad results. You think you’re just almost there. You don’t want to change course now. You end up spending way more than you have to. You didn’t consider expenses B, C and D. So you spent too much on A. There’s no money left. All you can do is pull it from somewhere else. As an end result, many businesses end up spending more to acquire a customer than the customer is worth. Instead, start with a plan. A budget helps you get more traffic without breaking the bank. Research & Planning — This involves doing a competitive analysis as well as researching to develop strategies you’ll use. What do they say? “Fail to plan. Plan to fail.” This is no truer than it is in digital marketing. Management — Someone will need to set up and manage the strategies you put in place. Make data-driven changes if things aren’t working. Do more of what is. Nothing in marketing is a “set it and forget it” proposition. Content Creation & Curation — You’ll need fund set aside to pay a person to create original content and collect other content that helps you meet goals. This may be ad copy, landing pages, apps, blogs, videos, memes, etc. Analytics Tools — You’ll need analytical tools to track strategy effectiveness. Some are free like Google Analytics. But it’s worth exploring paid tools. They go much deeper than you can manually. And they make it easier to understand what your data means and how to use it. Management & Automation Tools — When you start trying to figure out how to get traffic to your website, you may be amazed. There are millions of moving pieces to manage. Timing is everything. The work is often time-consuming and monotonous without the right tools. And if you haven’t already, work on optimizing the user experience on your website for all devices through SEO before trying to drive traffic to it. Next, we’ll look at why this is so important. At a glance, this doesn’t seem like how to get traffic to your website. But, in fact, it’s one of the most important single steps you can take — after setting a budget. Increase your traffic significantly without spending millions. Ultimately, this happens. Search engines see that people really like your website. They infer that it’s delivering a great experience. You’re giving people what they’re looking for. As a result, they increase your visibility in searches. By doing so, the search engine sends more traffic your way through searches without requiring you to pay more for ad space. Nearly 60% of overall website traffic now comes through search results. Achieve this result through effective SEO (search engine optimization). It requires significant initial work and then ongoing SEO maintenance. Continue to receive this traffic as long as you keep maintaining this optimization. It’s important to realize that SEO is not an instant traffic-generator. Steer clear of people who make promises that seem too good to be true. Instead, SEO builds slowly and compounds, increasing traffic over time. And it helps you provide a better experience to visitors that enter from other sources. Google says it takes about a year for an optimized site to move up in the ranks to generate significant traffic. When working with SEO experts who have a Google-aligned system in place, you can usually see incredible growth by 6-9 months. Maintain it to see it continue to go up. That’s how to get traffic to your website on a budget. Once you have your website optimized, apply other cost-effective strategies to drive initial traffic. Show Google you deserve high visibility in searches. Next, let’s look at how social media contributes when you need to figure out how to get traffic to your website. SEO alone is not how to get traffic to your website. If Google doesn’t have any data to review, they can’t rank you. Social media marketing is one very effective way to show Google you deserve more visibility in searches while driving more traffic at the same time. Google has clearly stated that the number of shares or likes a web page has doesn’t help increase your page rank. But social media does drive referral traffic. That’s traffic that results from a link on another website. Determine how much referral traffic you’re getting from a specific social media site like Facebook by visiting the source page in Google Analytics. From here, you not only see how much traffic came from Facebook. You’ll also see how the traffic interacted with your website. Use this data to improve the experience. Learn which social media sites work best for your unique business and target audience when you’re figuring out how to get traffic to your website. For social media sites like Facebook, Twitter, LinkedIn, and Pinterest, include a link to the website in the post. On Instagram, you have a single link in your profile bio. In the case of Facebook and Twitter, this link may auto-populate a page preview. But often it’s more effective to add a custom image or video. Either way, that visual content is important. People retweet 150% more often when an image appears on the post. That’s more opportunities to drive traffic to your site. You also need a compelling headline. These matter. Take some time to craft one that makes people want to click it. Users should want to click because they perceive value. “Hey, check out my latest blog” suggests that they’re doing you a favor. Vs “Don’t buy the new iPhone 10 until you read this”. This suggests not only that you’re providing value. You’re also specific. But what if no one is seeing your posts? It doesn’t matter how compelling the post is if the visibility is too low to gain traction. In this instance, you need to do two things. First, work to build up your follower base on social media. Second, very strategically use social media advertising to increase your following. This is how to get traffic to your website at the same time. Building a social media brand is similar across social media sites. But there are different strategies to increase visibility on these sites. We’ll look at some of the across the board ways to build up your profile. 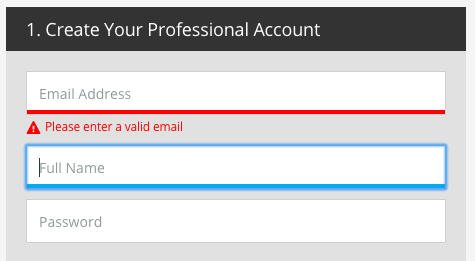 Fill your profile out entirely. If the site offers a business profile, use it if you’re a business. Share high-quality custom content. At least 50% of this content should be created by your company. This may include any of the following that you created: videos, links to your blog, infographics, gifs, memes, inspirational images/messages, etc. Share no more than 50% quality curated content. This content is strategically gathered. It may include your own headlines or you may just hit the share button. Use content generated by influencers in your industry. Also, use content created by your customers and fans. Collect and use relevant hashtags (eg, #AtlHawks). Think of hashtags like a file folder on your computer. When you use one, you’re putting something in that folder on the social media site. When someone is looking for something in the category, they use that hashtag to see what people have put in that folder. Respond to comments and messages. These are often people who want to learn more about your brand. Don’t miss the opportunity. If the comment is negative, choose a level-headed response that best reflects your brand and the situation. Encourage existing customers to follow you on your social media of choice. Make it easy for people to share your content. Provide social media icons on blog pages, emails, videos, etc. Don’t directly promote on social media. If you have a good following and some loyalty, occasional offers are okay. But pay attention to how people respond. They don’t typically appreciate open marketing on social media unless you’ve purchased ad space. Run contests to get more followers, leads and traffic. Tailor it to your customers. In addition to these strategies, some social media sites like Facebook and LinkedIn have other ways to build a brand. It’s beneficial to start or join groups where your target customer hangs out. Start building a presence. 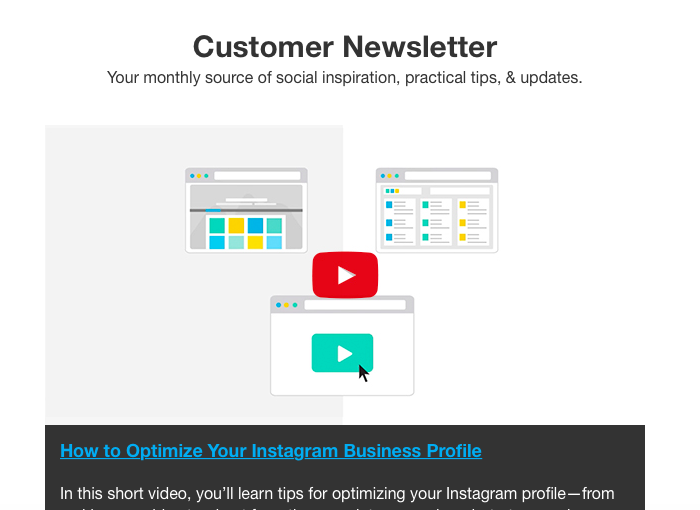 On Instagram, visual consistency of your posts is very important. Develop a style and stick to it. It’s difficult to build a social media presence quickly without some social media ads. Targeted social media advertising a great way to build your following and it’s how to get traffic to your website. The two primary methods for social media advertising are boosting posts and running an ad, like a Facebook ad. In both cases, how to get traffic to your website with the least expense is to run a very targeted campaign. People who’ve already visited your site. On average, 95% of people who visit your site, leave without converting. Retargeting ads have a 400% higher click rate. Increase brand awareness by 12%. And they deliver a 50%-60% higher conversion rate. As a bonus, people actually like these ads. They remind them to come back and finish what they started. Existing customers. For the same reasons, existing customers will spend more with retargeting. Look-alike profiles. These are profiles that have similarities to your existing followers or customers. Specific locations. Target a zip code(s) or a radius around your business. Target certain counties or countries. People from other locations in your area. In Facebook and Instagram, you can target tourists. People with certain interests, traits and behaviors. Target someone who’s recently purchased goods in your category or visited a competitor’s website. Target females in a certain age range. Target people who like technology, fashion, politics, etc. Really consider who your audience is. Strategically target them. This is how to get traffic to your website without it costing a fortune. Influencers are people with a huge following on social media. They may have millions of followers. They’re often famous in their own right. They may be athletes, actresses, TV personalities, or even just a popular socialite in your community. Influencer marketing is the act of networking with an influencer to share something about your brand. You get in front of millions of people you might not be able to reach any other way. Think “Oprah-effect”. The endorsement from this influencer also adds value and trust to your brand. This is how to get traffic to your website the smart way. If the price is right, definitely do it. But it’s often difficult for small businesses to afford influencers. There’s even a chance that you pay them, the post goes out. No one responds to it. There are better ways to get influencers to share that won’t typically cost you a high price tag. Track your mentions. Know who’s talking about you positively. Look for people with a large following among your target. Reach out. Think local. If you’re a local business, find a local celebrity. They’re well known in your area. But because they’re not a national figure, they may want to help for less cost to you. Seek out Win-Win’s. Sometimes you and another business can collaborate to reach each other’s followers. Offer to exchange shares. Or do a dual-promotion for both customer bases to introduce each to the other business. Think micro. A person with millions of followers may cost too much and just be too big for a small brand to handle. Instead, look for micro-influencers. That’s a person with 1000 or so followers who are also your target audience. These micro-influencers are often just happy to be recognized by your business. In each situation, connect and demonstrate admiration for their hard work in building a following. Then propose a business arrangement. Never ask people to work for free or pennies. But if you offer compensation, some may refuse it because they like your brand. 91% of people now look at reviews before choosing a brand. 85% of people trust online reviews like they trust a personal recommendation. The great news is that people expect you to have some bad reviews. In fact, over 50% say they’re suspicious if you have lots of reviews with no negative ones. Most people are more focused on star rating and number of reviews. And review sites like Yelp can drive referral traffic to your website with minimal work from you. Managing your reputation makes you visible on a website that already appears high in search engines. Know what people are saying about you. Put strategies in place to get more reviews. Never buy reviews or ask for great reviews. But when asked nicely, most people with give you at least a 4-star review. When you don’t ask for reviews, only people who are upset tend to write reviews. This leads to a misrepresentation of your business. Managing your reputation is how to get traffic to your website. Do you want to know how to get traffic to your website in droves? Get really relevant. Whether you’re on social media, running AdWords ads or using traditional marketing methods, relevance makes the difference. But you can only get so relevant on social media or TV ads or anywhere else. In the 20th century, targeting people in broad demographics was the norm. Marketing companies would target by age, gender and something the target likes. With the advent of digital marketing, we can do so much more. We can drill down to a more customized and personalized experience. People not only love a more personalized experience. They respond to it, increasing traffic and revenues. Want to know how to deliver the most customized experience? Market to people the way that over 70% of people say they prefer for businesses to communicate with them. That’s permission based email marketing. With email marketing on average you spend $1 and make $44. Not a bad ROI. But you need to make it relevant to drive traffic to your website. Once you have someone’s email, begin learning more about that person on an individual level. Better group them with people similar to them. Send all of them more relevant offers, content and communications. Use segmentation to categorize buyers by their profession, goals, location, age or whatever you find is the most effective way to be relevant. Use automation to make sure the email always arrives in their inbox at the perfect time. Use analytics to figure out how to deliver the more relevant content at the perfect time. Businesses who use these methods have 14% higher open rates, 101% more visits to their website. And around 18% higher conversions. But permission-based email marketing with segmentation and automation isn’t easy. It can quickly get out of hand without the right tools. It has many moving pieces that are hard to manage manually. Tools help eliminate a lot of the monotonous and time-consuming tasks so you focus on creating the most relevant content and generating revenues. The best way to drive more traffic through email without spending a fortune is work with a digital marketing company that has these tools in place. You reap the rewards of segmentation and automation. But you keep costs low. Let’s face it. You don’t just want traffic. You want that traffic to do something like schedule an appointment, buy or download a free trial. Setting up straightforward and effective funnels is not only how to get traffic to your website. It’s how to get more quality traffic. It’s how to keep people coming back. If you don’t want to spend a fortune driving traffic to your website, quality over quantity is important. We do this with sales funnels. Sales funnels can also be called the buyer’s journey. They follow the same basic principle. Make your brand visible to a lot of people in a place where many potential customers are. Pull the most likely customers into the funnel where you can better manage the customer experience. Learn more about the potential customers. As you do, nurture this leads through the narrow funnel until they become customers. Continue to nurture them to increase promoter activity and customer lifetime value. 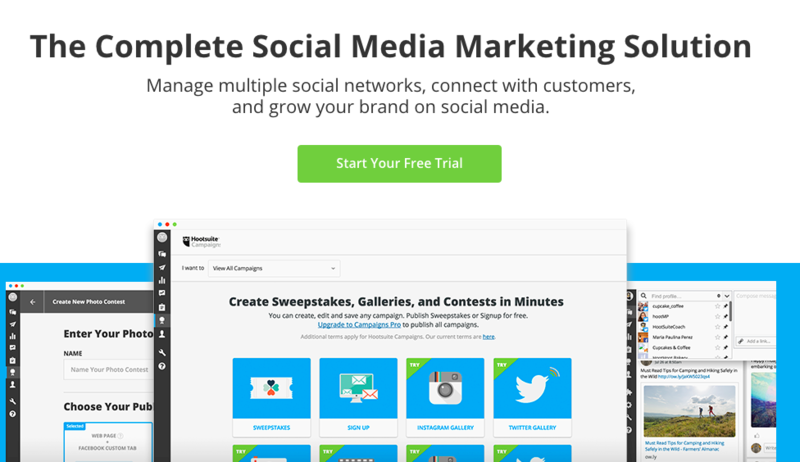 HootSuite, a social media automation tool, runs a very straightforward funnel. It starts with an AdWords ad. Click the ad. Go to a simple landing page. This landing page follows most best practices. It has a clear heading and more descriptive sub-heading. Note the image provides a visual of the features without the need for long explanations. The CTA button uses strong action language. Once you click the call to action, HootSuite asks for your name and email. Not only did the AdWords ad bring initial traffic to the website. 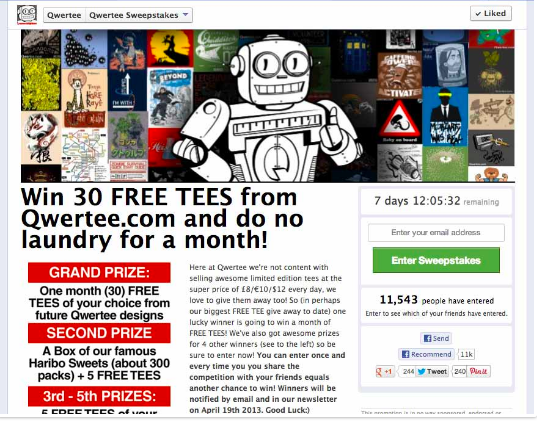 Once someone signs up for the free trial, HootSuite continues to send offers and content straight to their inbox. This increases the number of times that subscribers return to their website. Each time they return, they’re more likely to buy or take other desirable actions. If you’re a local business, search engines like Google don’t think you should have to compete with huge companies in your local area. They show preferential treatment to local businesses. But in order to get this treatment, they need to know you’re local. Your website may be hosted in California or New Jersey. But your business is in Georgia or Tennessee. Or you may serve several counties. You may serve a very small area exclusively. People may ask for this neighborhood by name. It’s hard for Google to make that call. They rely on you to communicate behind the scenes regarding what your local area really is. Here are some steps you and your webmaster can take today to demonstrate that you’re local. Some of it happens on your site, On-Page SEO. Other steps require Off-Page SEO. That’s doing things off your website that help SEO your website. Be consistent with your contact info everywhere you list your business. For example, don’t say “Drive” on one site and “Dr.” on another, etc. If contact info changes, update it on your website, social media, review sites, directories and anywhere else it’s found. Signup for reviews sites like Yelp, Yellow Pages and BBB. The consistent presence of your address on these site shows that you’re a real business and you are where you say you are. Set up your Google My Business (GMB) Account. This review site is most important. You’re telling Google directly where you are. Home-based and Internet businesses do not qualify for GMB. Put location tags on photos on your website. As a local business, include local pictures of employees, customers, office, events, etc. Tag them with a place. Example tag for a fundraising event: Scouts of America Atlanta fundraiser. Driving traffic to your site without paying money for every single click isn’t easy. But put these strategies in place to get more traffic without spending too much. Are you paying too much for traffic? Are your current strategies giving you lackluster results? Find out the difference we can make. We can help you get more traffic and grow your business. Contact us today.